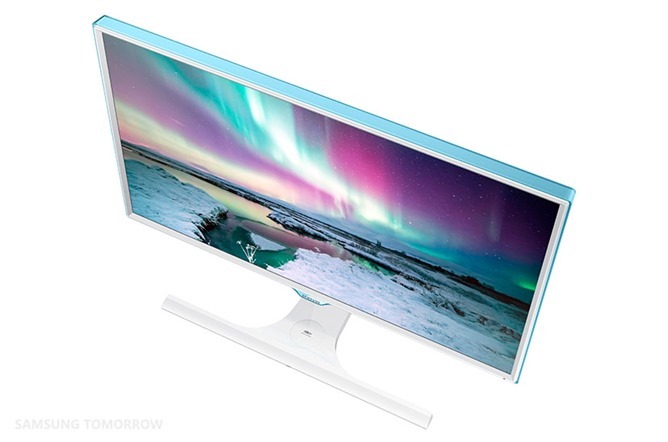 Samsung makes some really cool monitors. Aside from looking nicer than your usual plastic-wrapped panels, they have versions with 4K resolution, curved screens, and advanced gaming sync tech. 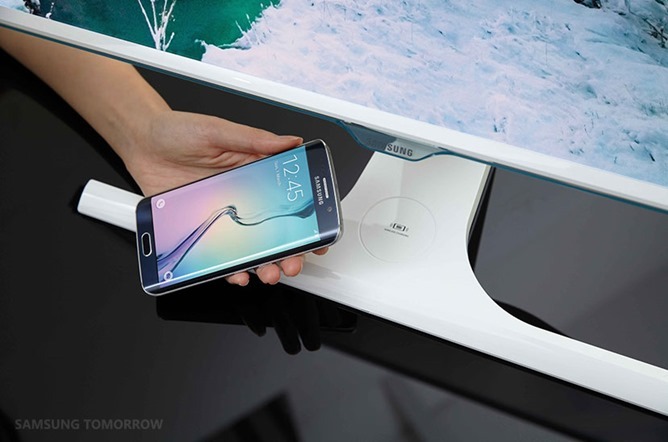 And now they've got one with a built in wireless charging port for your Samsung phone. Well, it'll work with any phone with Qi-compatible wireless charging. But I'm sure they'd prefer you to use it with a Samsung phone, preferably a new flagship model bought at full price. The SE370 comes in 23.6-inch and 27-inch versions, and includes a little circular pad on the base that can charge a Qi-enabled phone or tablet. On top of that it's a competent if not outstanding monitor in its own right. The resolution of the 60Hz PLS panel is 1080p with a brightness rating of 300 nits, and it only includes one HDMI port, one DisplayPort, and a VGA port, though gamers will be happy to know it's compatible with AMD's FreeSync technology. Samsung claims a 178-degree viewing angle, and various monitor modes optimize it for reduced eye strain or increased gaming performance. The teal-on-white color scheme looks pretty swanky. The video for the new monitor shows the back, which doesn't include a VESA mount... though considering the charger built into the base, it would kind of defeat the purpose. Samsung's blog post doesn't say when the SE370 will be available or how much it will cost.